Have questions about the dental care provided at Barron Family Dental or if your insurance is covered? Here are a few commonly asked questions, and of course, we’d be happy to answer any questions you may have. Just give us a call! Barron Family Dental is in-network with most major PPOs, including the ones listed below. Don’t see your insurance provider listed? Give us a call to confirm! Most PPOs cover 100% of preventative care! Most PPOs cover 100% of preventative care meaning no out of pocket costs for exams, xrays, and basic cleanings! Let’s schedule your appointment today! No Dental Insurance? Call our office and ask about our in-office dental plan. 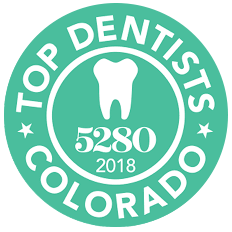 As a member of the Thornton community, we believe everyone should have access to quality dental care which is why offer an in-house dental plan to those with financial constraints. Superior dental care is more affordable that you might think! Call us to find out if this plan is right for you. No medicaid or HMO at this time. At this time we are not accepting medicaid or HMOs, but we will be constantly adding and expanding. Call us to double check, and join our mailing list for updates.